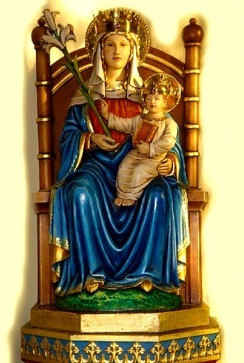 The Shrine of Our Lady at Walsingham dates from the year 1061. In that year a Catholic noblewoman, Richeldis de Faverches, had prayed to the Blessed Virgin for the favor of knowing what she might do to honor her. The Blessed Virgin appeared to the noblewoman in vision, showing her the Holy House where the Annunciation had taken place, and according to tradition, the replica was miraculously completed in Walsingham as Richeldis de Faverches prayed. It soon became a popular place of pilgrimage, and the Augustinian canons were granted papal approval to build a priory in 1150. 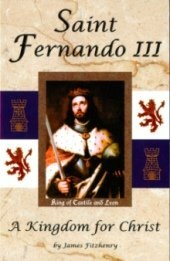 This was England during the reign of the pious king Saint Edward the Confessor. A long list of succeeding kings and queens made pilgrimages to the shrine during the following centuries, including the daughter of Queen Isabella of Spain and wife of King Henry VIII, Catherine of Aragon. It is even said that Anne Boleyn may have once had the intention of visiting the shrine during an unaccustomed moment of piety. The royal patronage, along with the gifts of pious Catholics, enriched the shrine, so much so that by the year 1346 the priory gates had to be kept locked at night due to the great value of the jewels and other offerings at the shrine. When Erasmus visited the shrine, he noted that it was surrounded on all sides with gems, gold and silver. The shrine of Walsingham was by now one of the most prominent religious centers in all of England, especially during times of war or plague when travel to Rome and the shrine of Santiago de Compestella were more difficult than usual. During the “Reformation,” King Henry VIII showed his true intention by stealing all of the offerings of gold, silver, and precious jewels at the shrine. When a group of Catholic men protested that this was no “Reformation,” but burglary, they were all hanged, beheaded and quartered by a man who would be god, pretending to have virtuous motives for starting a new sect. In the year 1538, the monastery was suppressed and the famous statue of Our Lady of Walsingham was taken to London and burnt. Little more than an arch remains today of that original shrine, although the site is marked on the lawn in the place where it once stood. In a time when it was a crime to be Catholic in England, nothing remained of the shrine of Walsingham but the memory of the glory that once was. It wasn’t until the year 1829 when the Catholic Emancipation was finally declared and public expressions of Catholic faith were once again tolerated. In 1896, a woman named Charlotte Boyd restored the Slipper Chapel, which was once a wayside chapel for pilgrims en-route to the shrine of Walsingham. A copy of the Holy House was built there the next year, and in 1897 Pope Leo XIII declared it the new National Shrine of Our Lady of Walsingham. Visits to the shrine increased since that time, and a copy of the original statue was reproduced based on the seal of the ancient shrine.